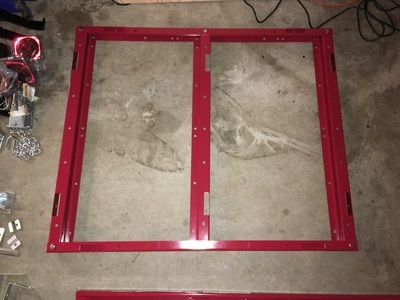 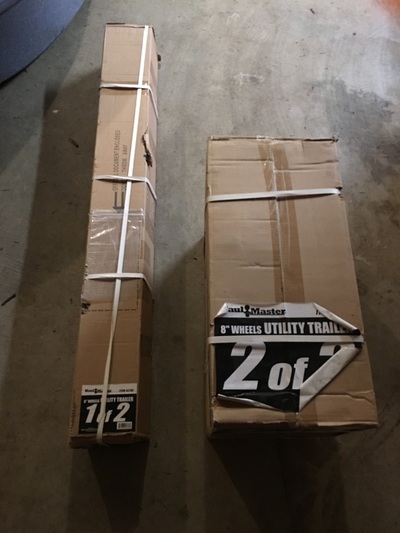 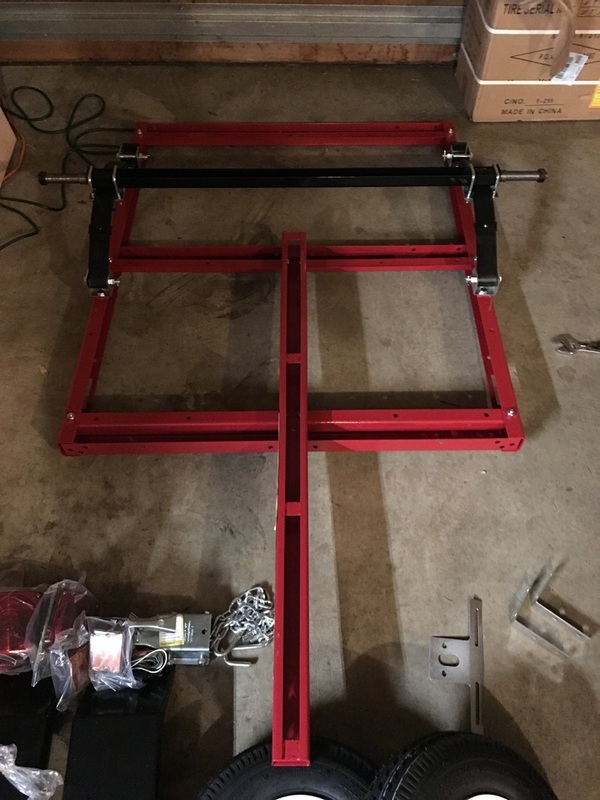 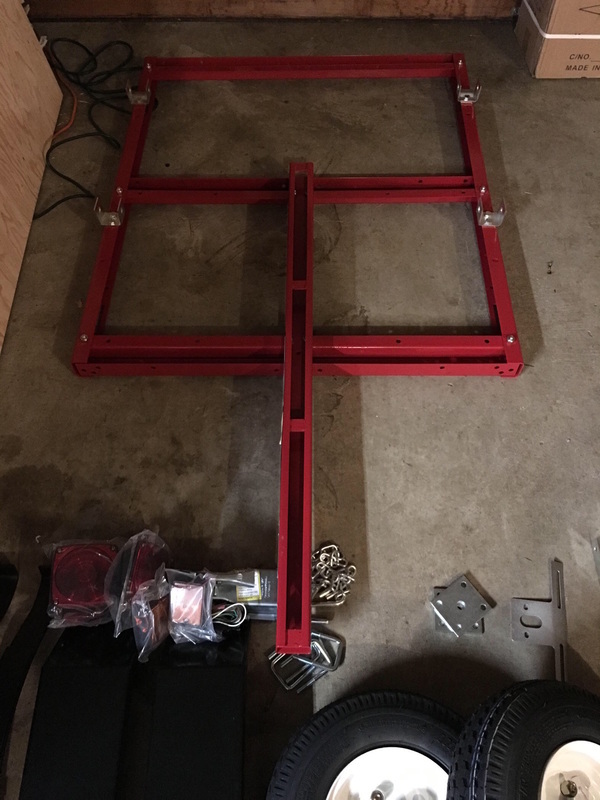 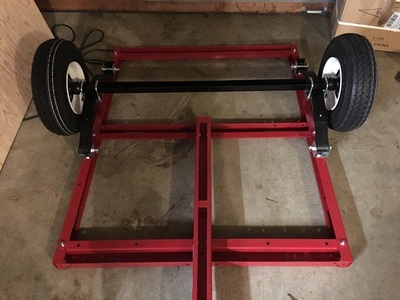 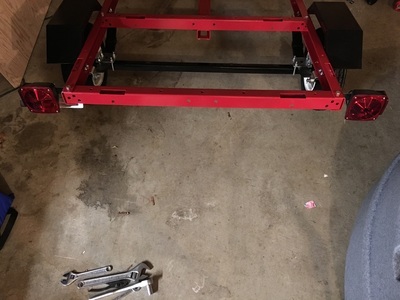 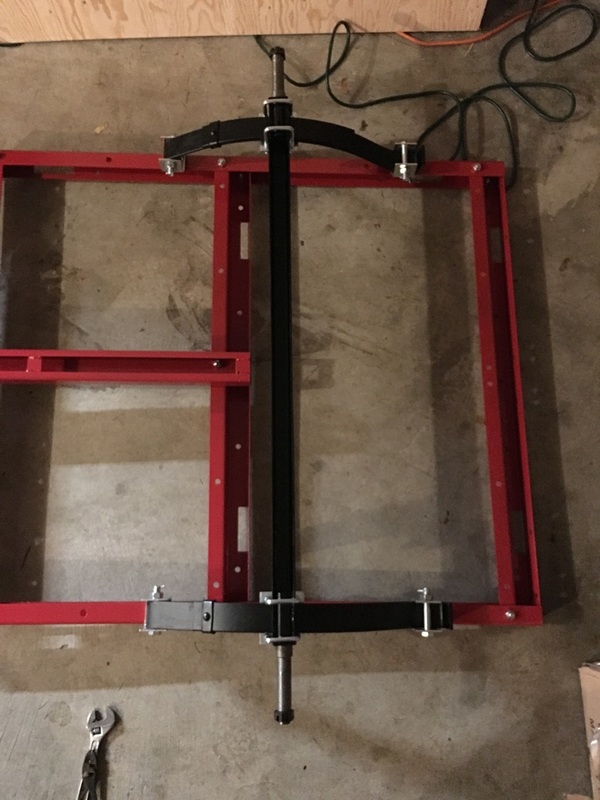 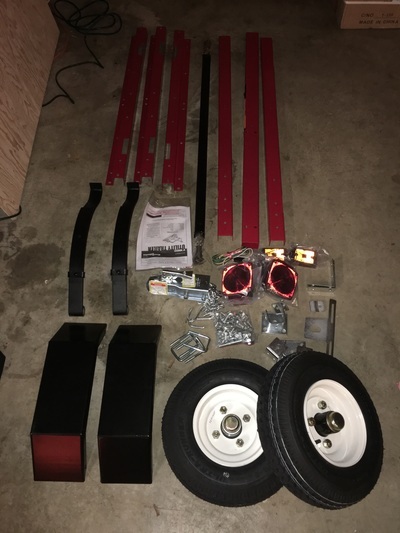 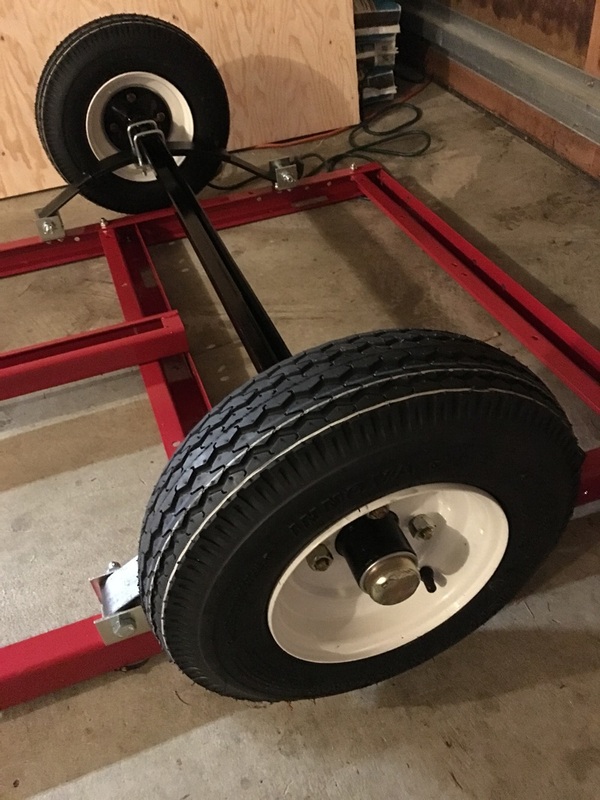 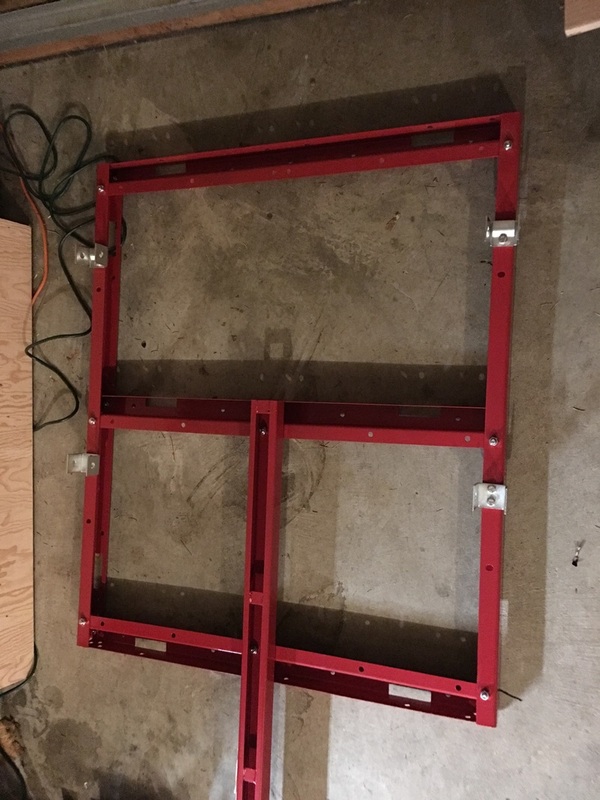 Here are some Pictures of myself putting together the $200 "Harbor Freight Special" Trailer. This is a great little trailer for the skiff. 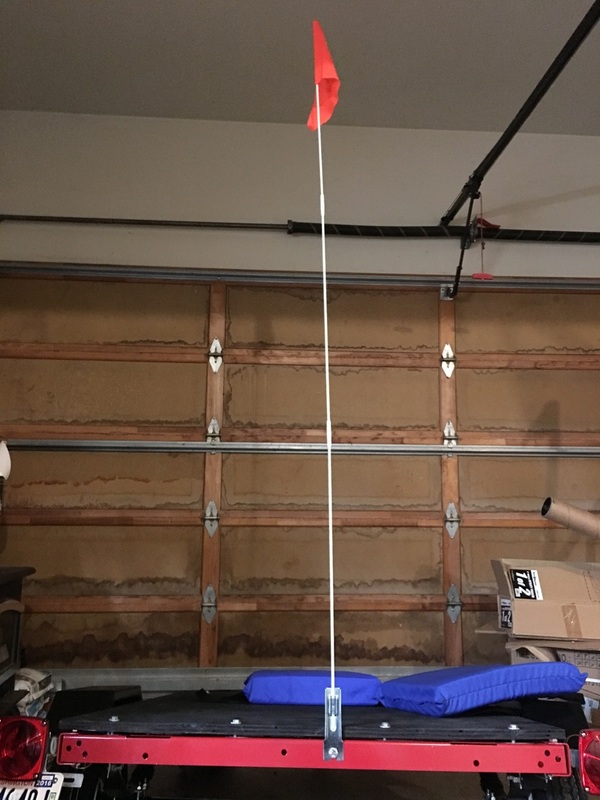 It's optional to add a Plywood Deck to it since the skiff sits on the Wheel wells but it helps if you want to stand up on it when you pull it up. 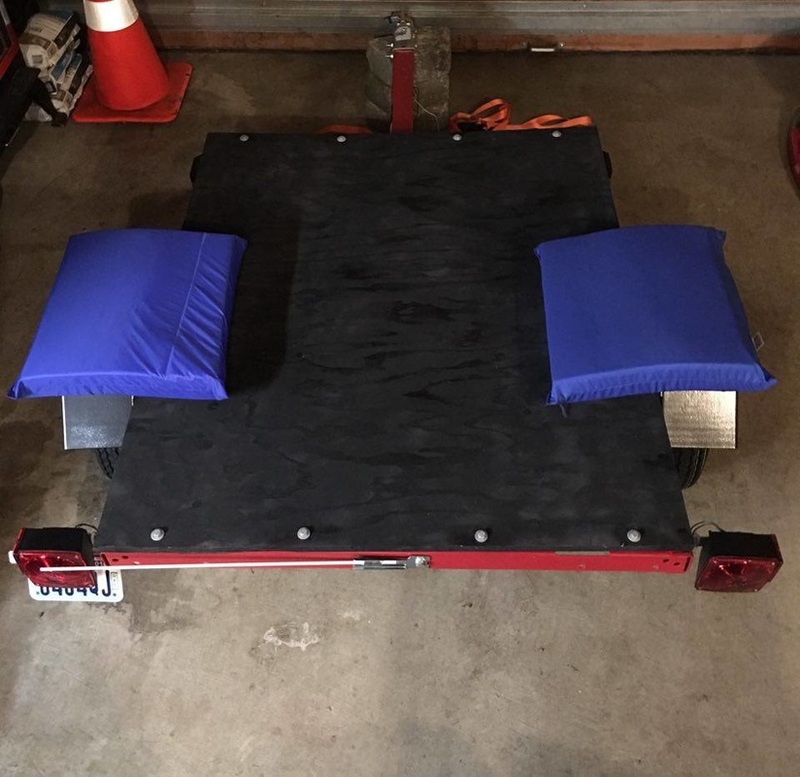 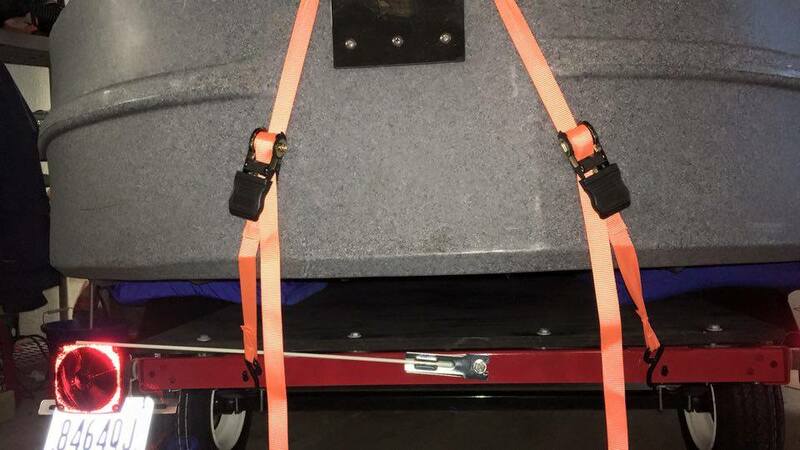 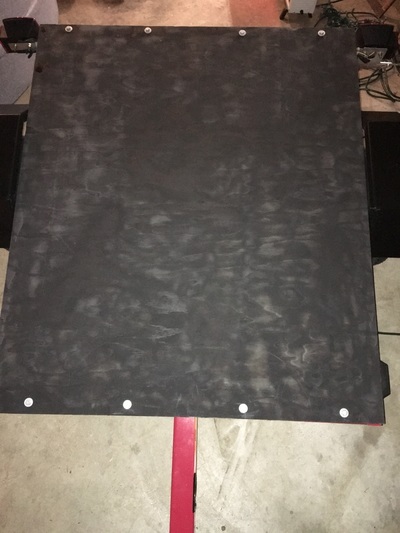 I also bungee cushions over the wheel wells (which are actually PFD cushions for a boat seat) to make it easier to slide the boat on and off the wheel wells and protect the bottom of boat from bumpy rides. 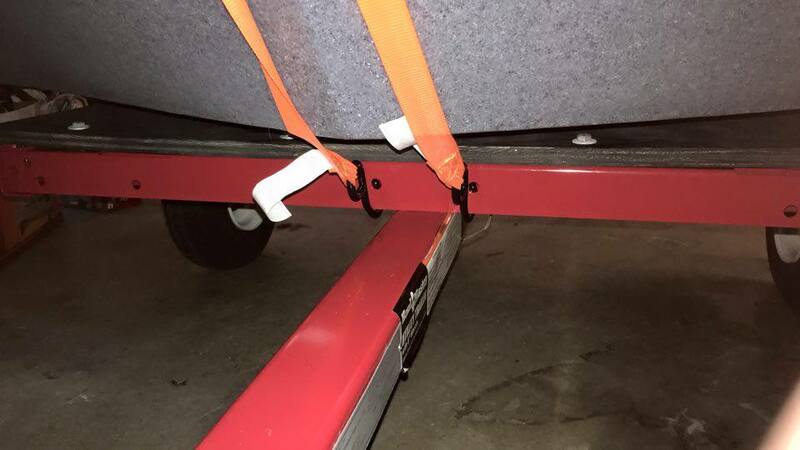 The cushions also prevents paint from the wheel fenders from rubbing onto the skiff. 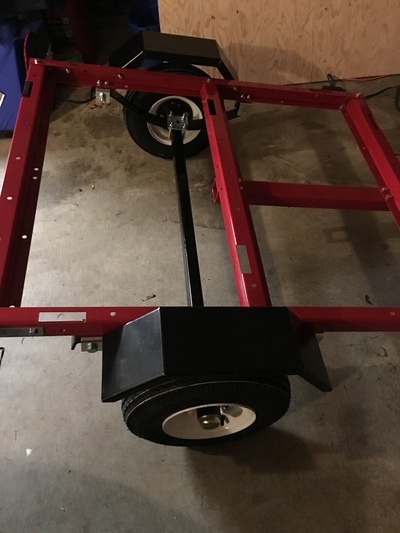 I do not use it with a winch but if you want a trailer winch it can be added to it.